Information and Communications Technologies (ICT) could be a key enabler of open government in Africa. And opening up data in the hands of government agencies, donors, and even the private sector, is crucial too. Open data is data that can be freely used, reused and redistributed by anyone, normally subject only to the requirement to attribute and share-alike (Open Data Handbook). It is widely held that open data can increase transparency in the conduct of public affairs, undercuts corruption, enable citizens to reuse this information to deliver improved products and services; and lead to improvements in the delivery of education, health and water to citizens. An increasingly large number of people in Africa are accessing modern communication technologies such as the internet and mobile phones. At the citizen-to-citizen level, a lot of conversations and actions are taking place via ICT. 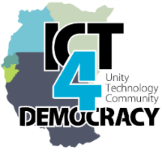 Many of these ICT-enabled interactions and discussions are empowering citizens, enhancing civic agency and promoting participation in various ways which democratic governments need to nurture. Accordingly, CIPESA supports the mission of the Open Government Partnership (OGP), a multilateral initiative that aims “to secure concrete commitments from governments to promote transparency, empower citizens, fight corruption, and harness new technologies to strengthen governance”. Particularly, we work to support the role ICT can play in enabling the attainment of the key objectives of open government, conducting assessments, tracking progress on openness, and sharing and networking with actors world over who are working to promote open governance. At the national (Uganda) level, we are currently collaborating with Development Research Training (DRT) and the Nairobi-based Development Initiatives (DI) to champion the Uganda Open Development Programme. The initiative is aimed at sharing development information and data ‐ on agriculture, education, health, roads sub‐sector, among others ‐ and on financial flows, including all resource flows to Uganda (aid, domestic revenues, humanitarian assistance, remittances, etc), making it possible to share development information, making it accessible and useable by various stakeholders – citizens, government officials, donors, civil society, media and private sector, among others. This initiative draws membership from various stakeholders including government representatives such as the National Information Technology Authority, Uganda, the Uganda Bureau of Statistics (UBOS), the Ministry of Agriculture, private sector operators (Mountbatten, Hive Colab), civil society (DRT, DI, Uganda National Non Governmental Organisations Forum and Uganda Women’s Network). At another level, we have created partnerships with civil society organisations in Asia (led by IdeaCorp and Foundation for Media Alternatives) with whom we are working on finalising a range of plans for research on open data, ICT and citizen participation, as well as open governance, including further development and validation of an Open e-Governance Index.